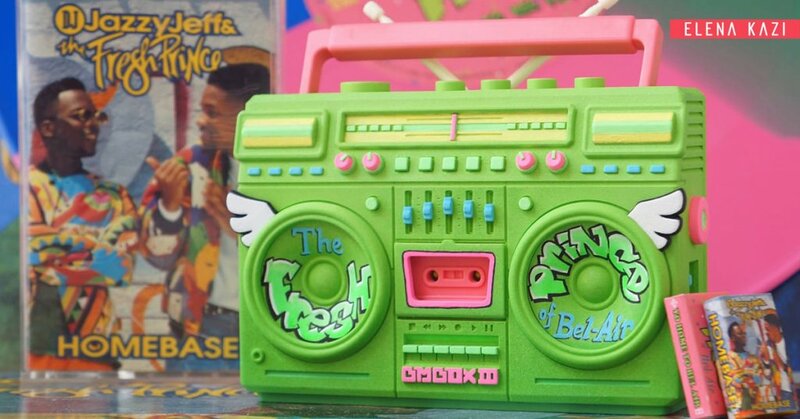 KEEPING IT FRESH is Elena Kazi, Greece based artist/dj/toy designer, creator of the hip BMBOX III has created a fantastic a tribute to “The Fresh Prince of Bel-Air” (Millennials who haven’t seen it click HERE) Our nostalgic sensors are overloaded right now and we want to break into a Carlton dance, HA! Anyway, getting back to Elena’s release you will recognise the colour scheme for sure. Find Elena via http://www.elenakazi.com/ Facebook and Instagram.